New Pioneer Woodshop is a small Washington based company that consists of a group of highly skilled craftsmen. Our staff of professionals collectively posses over 35 years of cabinetmaking and remodeling experience. We are fully committed to satisfying customer needs on a regular basis. 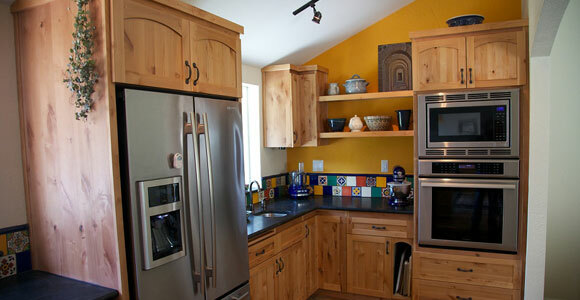 Our mission at New Pioneer Woodshop is to create an enhanced living environment that is fresh and new to our clients. We pride ourselves on our ability to establish an effective line of communication between us and clients. This serves to keep everyone who is involved in the project informed. From the designer, to the builders and landscaper, we know exactly what you want. We even provide work for environmentally conscious individuals. We are always happy to implement sustainable design practices and use green building materials. New Pioneer Woodshop is committed to creating a safe and healthy living environment for people to live and work in. Servicing the city of Tacoma and the greater Puget Sound area, New Pioneer Woodshop specializes in residential remodeling. We provide the same high level of quality service, whether building a simple bookshelf or completing a total home remodeling job. We give all our work the same degree of professionalism and attention to detail. We accept small or large additions and home remodeling projects. An important aspect of a good home remodeling company is the ability to provide flexibility, as well as quality service. This is a crucial element that New Pioneer Woodshop does not take lightly. We recognize the need to work with the customer’s particular circumstances, especially their time and budget. We’re flexible when it comes to forming a remodeling plan. We are able to work out a plan that can fit any budget. Since we are the general contractor, we are in control of all elements that affect your cost. New Pioneer Woodshop can maintain a high standard of quality service and still help save clients money. At New Pioneer Woodshop, we provide quality work, along with excellent customer care. Everyone works attentively, from our cabinet makers to our roofers and kitchen countertop experts. We use the highest quality materials and we strive to incorporate your lifestyle and design ideas into the remodeling.